I do not see any significant deviation from universally agreed norms of democracy and human rights in Nepal’s constitution. The recent local elections after a hiatus of two decades augur well for consolidation of democracy and acceleration of development in Nepal. They bring us full circle back to when democracy and development were beginning to take root at the local level in the mid-1990s. Undoubtedly, some new progressive features have been added to make democracy more inclusive and egalitarian under the new constitutional dispensation than two decades ago. But it is fair to assume that most such progressive measures would have evolved peacefully without the trauma of a fratricidal civil war if the self-corrective mechanisms of genuine democracy through periodic elections had been allowed to mature. However, Nepal’s Maoists, who had done poorly in the 1991 general election, had no patience for what they derided as bourgeois democracy. Citing some real and many exaggerated imperfections of liberal democracy, they launched a brutal armed insurgency rudely interrupting both peaceful evolution of democracy and efforts to build the foundations for economic development and social progress, especially at the local level. Euphemistically labeled “People’s War”, the Maoist insurgency deceptively co-opted such terminology as inclusion, equity and social justice that are the ideals of a well-functioning democracy. But true to their ideological conviction that “power comes from the barrel of the gun”, the Maoists prescribed armed violence as the only way to achieve these ideals. Their clever use of revolutionary slogans and utopian promises attracted significant following of innocent people, especially from Nepal’s many ethnic and regional groups and other communities that were historically marginalized. They also mesmerized some naïve donors and diplomats into giving the Maoists and some like-minded ethnic/regional activists undue benefit of doubt and encouragement. During the protracted peace process and drafting of the new constitution, some members of the international community insisted on “consensus” and “compromise” as the sacred mantra. Many diplomats and scholars of countries whose own constitutions were ratified by much smaller majorities, castigated Nepal’s constitution adopted by nearly 90 percent of democratically elected people’s representatives as non-inclusive and elitist. Many self-proclaimed progressive commentators, and ethnic and regional activists, considered this as the international community’s endorsement, albeit inadvertently, of what the ex-Maoist ideologue Baburam Bhattarai cleverly articulated as the primacy of janādesh (people’s aspirations) over matādesh (voters’ verdict). Granted, Nepal’s new constitution is not perfect, as is the case with constitutions of all other democracies. As a long-time UN official who strongly believes in universal norms of human rights, I deplore some clauses in Nepal’s constitution, particularly those containing discriminatory provision with regard to gender equality in acquiring citizenship by birth and naturalization. This must definitely be rectified. However, except for this single and serious flaw, I do not see any significant deviation from universally agreed norms of democracy and human rights in Nepal’s constitution compared to those of most other established democracies. 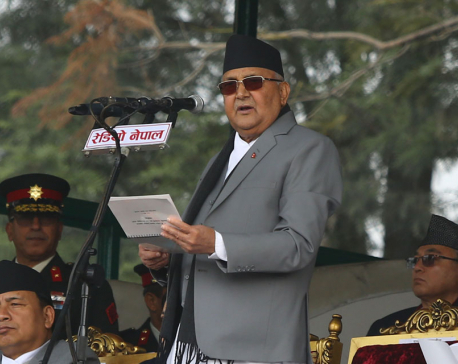 On the contrary, though at times clumsily worded, Nepal’s constitution is remarkably progressive, inclusive and full of affirmative action—take the mandatory requirement for the President and Vice President, top leaders of the national parliament and local assemblies, as well as of provincial and municipal governments, to be from different gender and identity groups. It is exhilarating to witness, not just in theory but in actual practice, an unprecedented number of women, including from the historically deprived Dalit community and other marginalized groups, recently elected to local governments. Most of the current demands for constitutional amendments that are being pressed by those claiming Nepal’s constitution as non-inclusive are matters relating to political choices and preferences rather than non-compliance of universal norms of democracy and human rights. Some of these demands may well be justified, but these need to be pursued through the normal instruments of democracy—elections, referendums and peaceful negotiations and persuasion— not through threats of agitation, boycott of elections or obstruction of democratically elected parliament and other institutions. It is time for Nepalis to shun our obsession of seeking solutions to all our problems through constitutional amendments. A constitution can only go so far, and dumping in the constitution a laundry-list of all our aspirations will only make it unwieldy, unimplementable and lead to greater disappointment and cynicism in the future. A constitution is not self-executing and even the most progressive constitution in the world cannot guarantee good governance. The fact that many rights and norms already enshrined in the constitution and laws of Nepal are not fully implemented calls for other remedies including the evolution of democratic culture and respect for the rule of law in our society, rather than endless constitutional amendments. Indeed, our struggle now should focus on securing good governance and rule of law through legislation, education, and holding elected officials and other decision-makers accountable to the word as well as the spirit of the progressive features of the constitution. Border blockades, forceful closure of schools, health centers, public transport and other basic services that hinder ordinary citizens from exercising their civic rights have no justification in the name of inclusion, consensus, compromise or any other pretext. 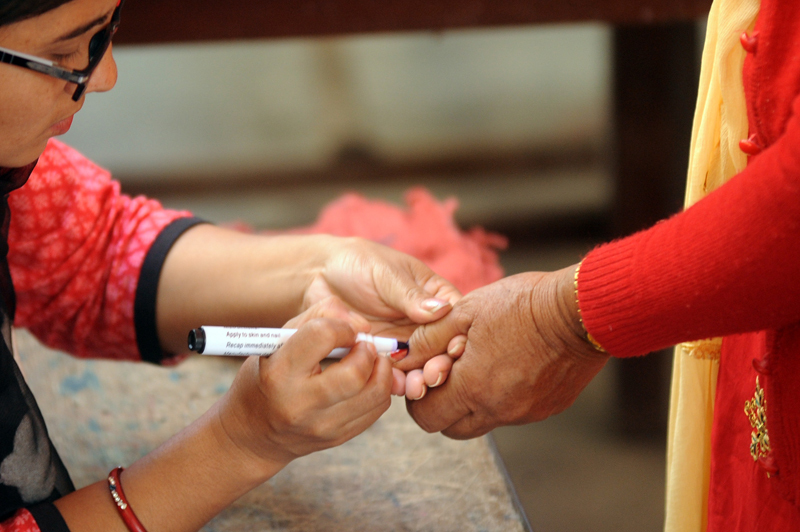 The largely peaceful conduct of the first two rounds of local (village and municipal) elections in May and June 2017 has given Nepal a rainbow of highly inclusive local governments—with 40 percent of elected officials being women, many of them in leadership positions. A significant number of the elected women are from the historically most marginalized Dalit community. The high voter turn-out, exceeding 70 percent, and election of candidates from Nepal’s diverse mosaic of ethnic communities, including religious and linguistic minorities roughly in proportion to their population in the country, is a tribute to the inclusive nature of Nepal’s new constitution. Future elections will undoubtedly further empower those elected from the historically marginalized communities to attain higher leadership roles as they gain more experience and can challenge their peers and rivals from the traditional elite with greater confidence. 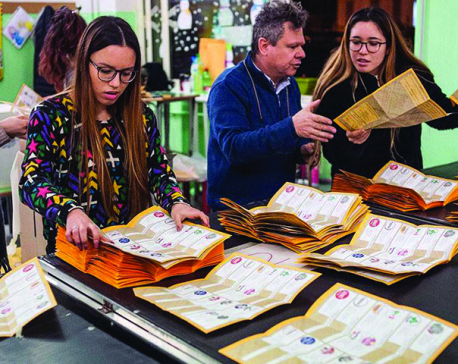 The fact that the newly elected local governments will have significant power of the purse and authority over decision-making on matters concerning people’s well being—for example over basic education, health services, local infrastructure and management of natural resources—will give these entities real teeth, thus bringing government services closer to the people’s door-steps. These achievements are worth celebrating, but we should be prepared for new challenges that are likely to emerge.